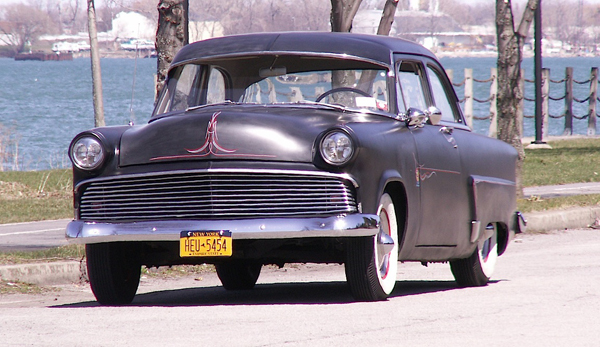 Love seeing period customs out on the road, such as this 1954 Ford Mainline seen a few weeks ago in Tonawanda’s Isleview Park. Looks like a rolling advert for J.C. Whitney! Check it out: custom bar grille; “dummy” spotlight; pinstripes; full wheel discs; wide whites; full front visor; and a satin paint job. I’m betting the car’s AM radio was tuned to an oldies station. Jim Corbran, RRofWNY Check out our new Facebook page: LuvTheCheapies The post RealRides of WNY appeared first on Buffalo Cars.